By providing a comprehensive set of solutions to connect them, the Seco series of rotary supports will allow you to get the most out of your machines and tools. This diversified portfolio includes a stable line tool with built-in vibration damping. The scope covers all standard work piece connections, and Seco’s unique connections. Most specifications including hsk-a-e-t, DIN, BT, ANSI, PSC (seco-capto) and cylindrical are included in the machine side connection. Coolant, MHQL solution greatly reduces the volume of coolant to prevent thermal accumulation and sufficient lubrication machining operations. This approach reduces the cost associated with the reconditioning of some cleaning and coolant, as well as the health hazards of air and fluid emissions from operating personnel. The scope of Seco’s MHQL Shrinkfit tool holder includes two different MHQL solution options. The EHPB 5403M1 is designed for the MHQL1 solution, where air and oil are mixed together, then into the spindle of the machine tool, and then through the tool rack, into the cutting tool. The EHPB 5403M2 tool holder is designed for MHQL2 solutions, where air and oil are delivered through two different pipelines and are mixed in the tool holder’s cooling chamber. These MH1 and MH2 contractors are characterized by MHQL cooling tubes and stop end screws, and coolant channels are specially designed for MHQL. In addition to the various benefits of MHQL, these contract-holders provide you with a very low run (Max). 3 m 3 xd), special strength, stiffness and good balance. 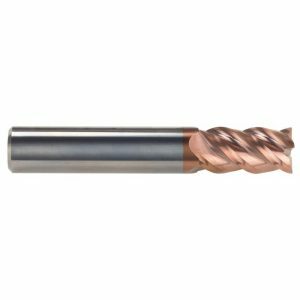 They improve the performance and reliability of overall high speed machining and apply to all types of applications, from milling, drilling and reaming.